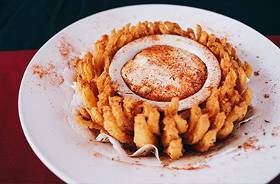 Our desserts have become more and more popular. Be sure to slip in to the Roadhouse to see what everyone is talking about. 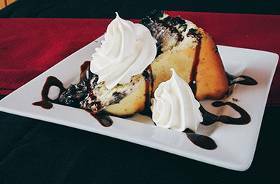 Click here to see our desserts and other menu items. We have a rich history here at Ryan's Roadhouse, and we'd like to share it with you! Read about where we've been and where we are now. Here, every customer helps in making history. Our e-club is a great way to stay in touch with us. Staying in touch with us will allow you to receive exclusive deals and offers that we hold just for our e-club members. Don't miss out! Sign up today! 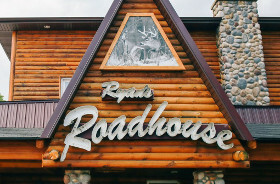 The Roadhouse tradition of "Good Food and Great Drinks" all began in 1959 and went through many changes over the years. In 1998, I started some changes of my own by trying to bring in the northern Michigan theme to St. Johns. A total renovation, inside and out, has brought the look that I personally love. Stop by to enjoy our bar and spacious dining room or book a party in our banquet room!